I admit it. I’m sixty-something. Hard to believe, because I was thirty-something yesterday. But I know the secret to success in your post-menopausal or geezer years. And I’m going to share it with you. One: Get lots of psychotherapy and then set up your own practice. If you’ve grown up with neglect or any type of abuse, then, the understanding of who you are is likely to be distorted and inaccurate. You may blame yourself for the way you were treated. This sets up unhealthy patterns that follow you into adulthood. Anxiety. Depression. Difficult relationships. Instability. Good therapy will help you uncover these experiences, understand them, and grieve your losses. Then, over time, you can release the negative beliefs and the trauma lodged in your body, find your authentic self, and live well. Age well. I grew up in a typical, middle class, dysfunctional family. Passive aggression, betrayal, unexpressed rage, boundary violations, trust and safety issues, anxiety, fear, and deep misery. In my own therapy, I came to understand that my anxieties, melancholy, and relationship issues were not the result of my terrible inadequacies as a deeply flawed human being. Instead, my fears and sadnesses were normal responses to an unsafe, abusive childhood. Therapy has transformed my self-perceptions and healed my broken heart. Becoming a psychotherapist, then, I knew the process from the inside out. I’ve worked through many of my mental health issues so that I come to the profession with more self-awareness, empathy, and confidence. Not only that. The career itself is perfect for us older souls (especially if you’re an introvert). Think about it. I get to have deep, intense, sweet relationships. One person at a time. I contribute to creating a better world. All that, and: I don’t have to do any heavy lifting or much actual moving. (Ideal for my older body.) I get better at it as I gain experience which means that the older I am, the more in demand I will be. Is this the perfect career for older souls? You betcha. Well. I started dancing the tango at 47. It was shocking. I had no idea that I could experience that much pleasure within my own body and with another human. Learning to dance was a therapy, too, of sorts. To dance well, I had to get to know myself intimately as a human with a body. 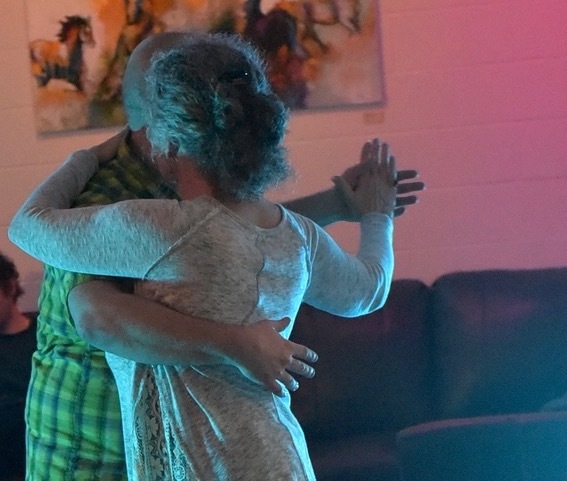 I had to move with grace and ease while my feet were loving the dance floor and my heart was beating in tune with my dance partner and the music. It was transformative. More insight, expansion, and compassion. My age? No one cared. I was popular. I was attractive. Men and women stared at me with admiration and desire. I am not making this up. What mattered was how well I could tune into my partner, how sensitive and intuitive I was, how grounded I was in my bodiness. And all of that therapy I had? Only increased my capacity for connection. I can still remember the young, blonde, thirty-something Marine. Watching me dance. Smiling in appreciation. I felt graceful, sensual, and pretty. In my 50’s and now my 60’s.